I am trying to make an H-bridge with two NPN and two PNP transistors to drive a motor which works fine on the 5 V Arduino. I have a schematic in the picture. When I use a simple code to have pin 9 HIGH and pin 8 LOW, the motor doesn't do anything. The transistor which I circled green is getting very hot. Is there something wrong with the schematic or code? Or is it my wiring? I know people use diodes as well, but in my case the motor doesn't work, so the diodes aren't the problem. Not the answer you're looking for? 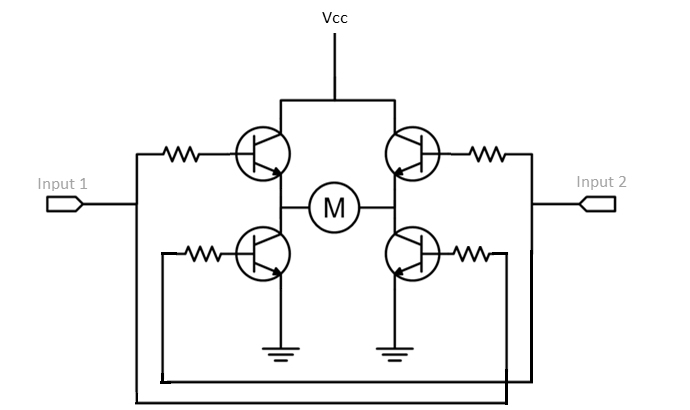 Browse other questions tagged motor transistor h-bridge or ask your own question. How can I make an H-bridge using NPN transistor? 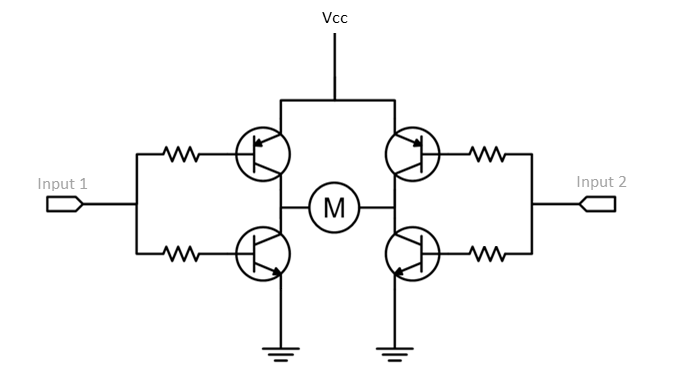 How many transistors are there in an H Bridge? 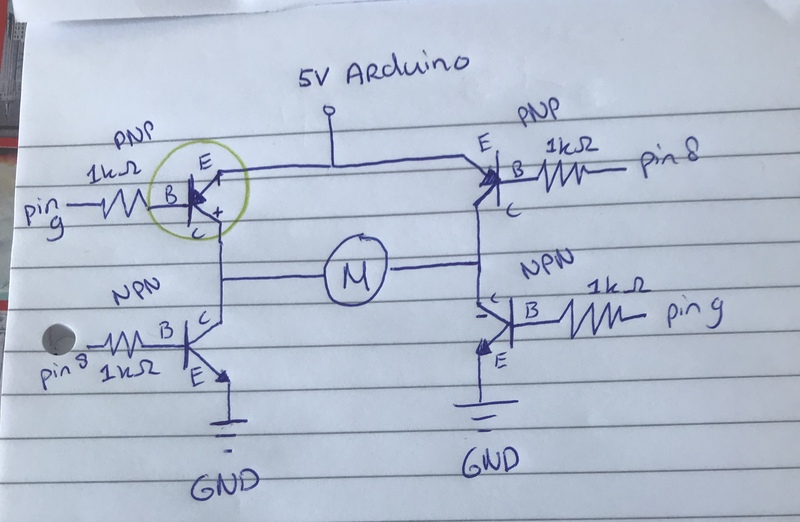 How can I connect H-Bridge motor driver (using four 2n222 transistors) to Arduino?